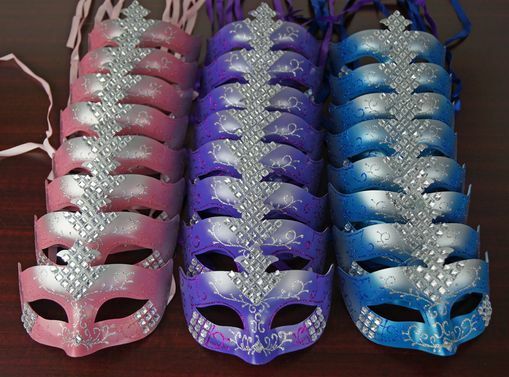 This mask party pack is hand painted and decorated with faux diamonds. Mask pack comes with twenty four assorted colored masks. Great for large Masquerade style events.